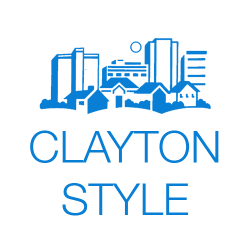 Clayton has a unique style which is celebrated on this site. Come and experience the rich architecture, interior design, social events, gardens and art of the area. Ted grew up in St. Louis and loves all of our unique neighborhoods. Having sold homes in the West County area and St. Louis City for over 8 years, Ted is able to help Buyers find the ideal home that is a good investment. In addition, Ted’s 20 years of marketing experience gives him the edge to help Sellers move their homes quickly. Over the years Ted has developed a niche of specializing in architecturally important houses ranging from mansions built by Barnett, Haynes and Barnett to more modern homes designed by the noted Harris Armstrong and William Bernoudy. Ted shares a historic farm in Pike County, Missouri with his family. Ted also specializes in selling farms and country estate in this area. Ted is a graduate of Washington University’s Olin School of Business and a St. Louis Priory alumnus. Just speak with some of Ted’s clients and you will know that you are in capable and knowledgeable hands. Ted is a broker/salesperson with Dielmann Sotheby’s International Realty.